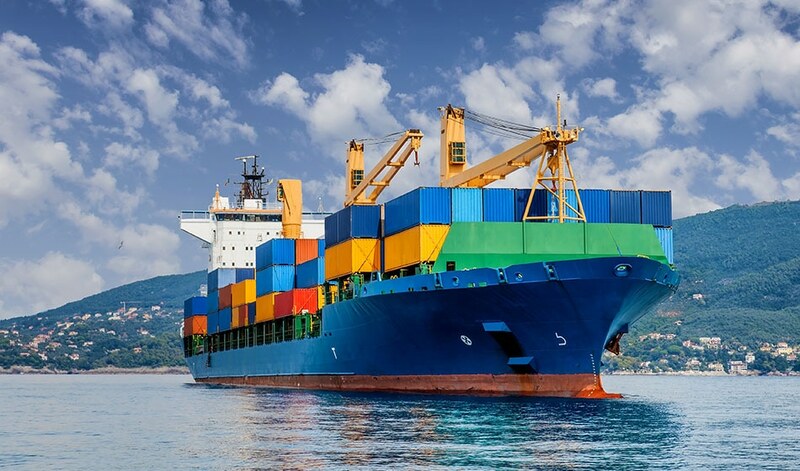 A team of researchers led by Dr. Jun Kang at the Maritime and Ocean University in South Korea have found a novel use for the waste soot produced by Merchant ships. Through heat treatment, the team transformed the black carbon waste material into highly crystalline, graphitic 3D structures known as nano-onions. Electrochemical testing revealed the material to have a high discharge capacity and an impressive life cycle, making it an ideal candidate for low-cost anodic material suitable for lithium-ion batteries. Global efforts to reduce carbon emissions has led to the rise of battery-powered technologies, however procuring the raw materials needed such as graphite and lithium has detrimental effects on the environment. Dr. Jun Kang’s team showcase a unique attempt to make graphitic battery anodes whilst simultaneously reducing environmental impact. Over 80% of our global trade is conducted via shipping vessels and that between 0.9 and 1.7 million tons of exhaust particles are estimated to be emitted per year due to this. Graphite is commonly used as the active anode material in lithium-ion batteries and other technologies; therefore sourcing this material from waste product reduces the amount of processing required and creates a source of renewable energy. Since the combustion engine takes care of the initial steps usually associated with graphite production (precursor generation and carbonization), graphitization by annealing is the only process required. Characterisation of the resultant material showed it to be almost perfectly crystalline graphite, with all hydrogen and sulfur contaminants removed by the one annealing step. Carbon nano-onions are structures made up of many concentric shells of sp2 hybridized carbon atoms, effectively multi-layer fullerenes. The discovery of these structures was first published in Nature in 1992 by Professor Ugarte while he was working at École Polytechnique Fédérale de Lausanne. He reported their formation after using a high-resolution electron microscope to irradiate soot, imitating a “high-temperature regime” as used by Dr. Kang’s team. Once annealed, the newly formed nano-onions possess a high specific surface area when compared with the initial raw material. The lithium ions therefore, have a larger area available for intercalation, making it an efficient anodic material. The benefits of using nano-structured carbon in technologies using ion intercalation are well-known, but generating their formation from recycled waste soot is a unique and novel approach. After the COP23 climate meeting in November 2017, The World Economic Forum published an article relating to the social and environmental impact of lithium-ion batteries. A key message was that “battery production causes more environmental damage than carbon emissions alone”. This is inpart, due to the unsustainable and energy-intensive methods of procuring and processing the materials. The extraction of natural graphite in countries such as China, India and Brazil is no exception and has caused harmful effects such as air pollution and soil contamination, destroying vegetation. Such effects in China have been widely documented. Therefore any effort to lessen the environmental impact lithium-ion battery production has is commendable. Despite being a rejuvenated waste material, the electrochemical performance of the material is impressive. The coulombic efficiency stayed at 99% for up to 150 cycles, after which the reversible capacity was still 260mAhg-1 at a rate of 1C. The material even matched the performance of a typical carbon black-based anodic material that the group prepared for comparison. As expected from anodes with high specific surface areas, the first 3 cycles showed typical low efficiencies with an irreversible capacity loss. However, this can be compensated for via anode prelithiation. This technique offsets the initial loss of ions experienced due to the formation of a solid-electrolyte interphase at the anode surface. This is a widely practiced approach and whilst the anode is most commonly targeted, Professor Yi Cui’s group at the University of Stanford showed cathode prelithiation to be more effective under ambient and battery operative conditions. With the growing demand for rechargeable clean energy batteries for novel tech gadgets and swanky Tesla-style electric cars, there is an ever-increasing incentive to develop truly clean production routes. Whilst “waste soot from merchant ships” is most likely not a sustainable source of graphite it is certainly guiding us in the right direction towards finding environmentally friendly alternatives. Lee, W., Kim, H., Choi, J., Panomsuwan, G., Lee, Y., Rho, B. and Kang, J. (2018). Recycling Waste Soot from Merchant Ships to Produce Anode Materials for Rechargeable Lithium-Ion Batteries. Scientific Reports, 8(1). Ugarte, D. (1992). Curling and closure of graphitic networks under electron-beam irradiation. Nature, 359(6397), pp.707-709. Eckhart, J. (2018). Batteries can be part of the fight against climate change - if we do these five things. [online] World Economic Forum. Available at: https://www.weforum.org/agenda/2017/11/battery-batteries-electric-cars-carbon-sustainable-power-energy/ [Accessed 4 Apr. 2018]. Whoriskey, P., Chavez, M. and Ribas, J. (2018). The batteries in your favorite devices are literally covering Chinese villages in black soot. [online] Washington Post. Available at: https://www.washingtonpost.com/graphics/business/batteries/graphite-mining-pollution-in-china/ [Accessed 4 Apr. 2018]. Investing News Network. (2018). 10 Top Graphite-producing Countries. [online] Available at: https://investingnews.com/daily/resource-investing/critical-metals-investing/graphite-investing/top-graphite-producing-countries-china-india-brazil-canada/ [Accessed 4 Apr. 2018]. Sun, Y., Lee, H., Seh, Z., Liu, N., Sun, J., Li, Y. and Cui, Y. (2016). High-capacity battery cathode prelithiation to offset initial lithium loss. Nature Energy, 1(1), p.15008.